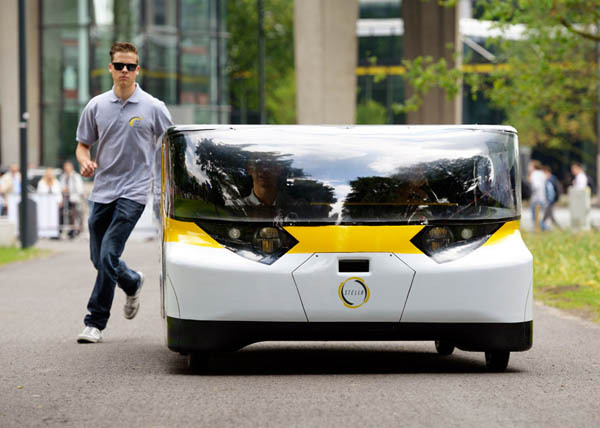 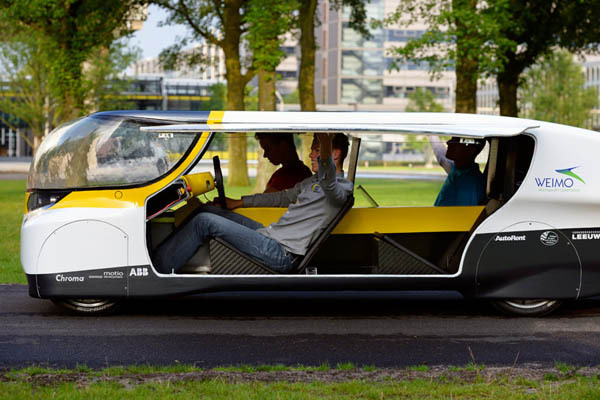 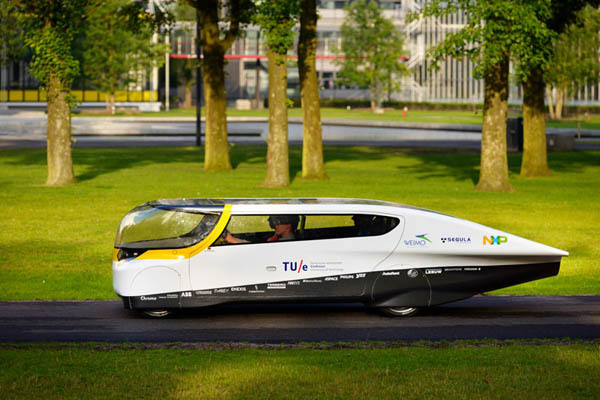 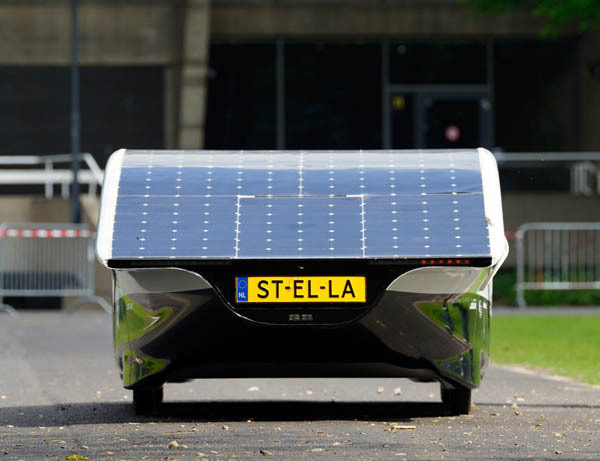 Stella, the world’s first solar-powered family car, provides accommodation for four people, fully accessible trunk space, an intuitive steering system, and has a range of 600 kilometers. 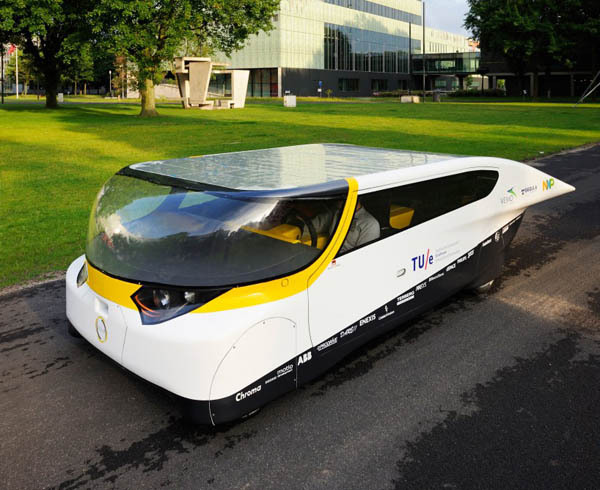 It generates via the photo-voltaic panels and the roof-mounted solar cells. 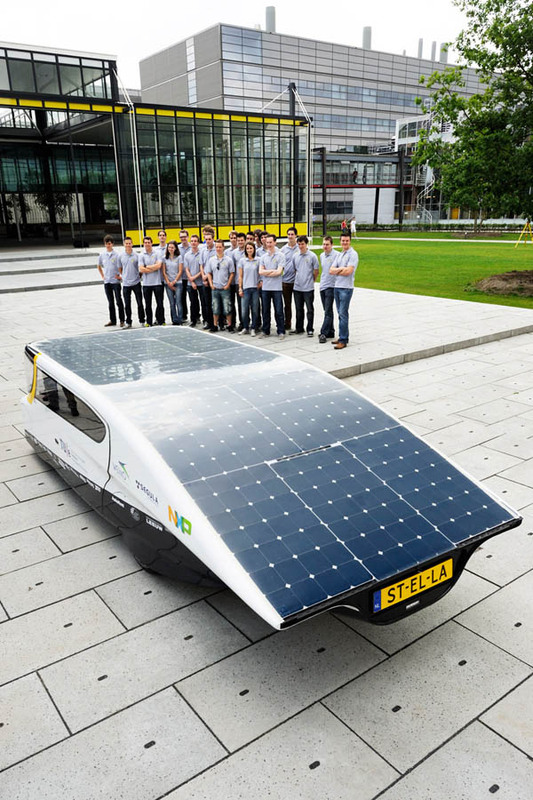 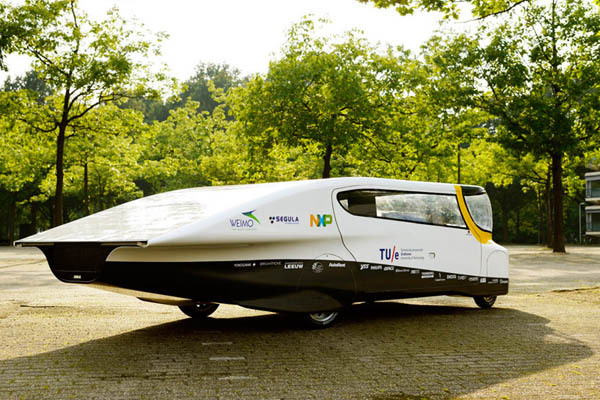 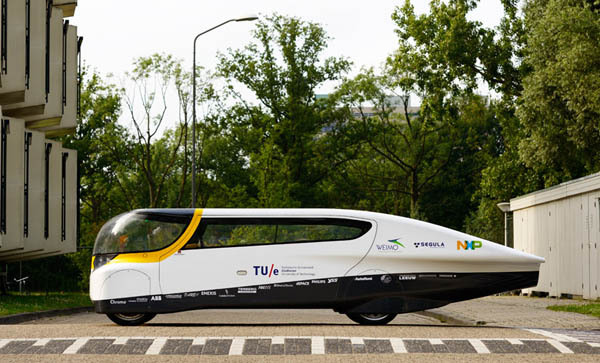 The ‘stella’ will participate in the cruiser class for the world solar challenge 2013, a 3,000 km long race across the australian outback from october 6 – 13 2013, that will place emphasis on the practical and user-friendly application to solar cars rather than on speed.